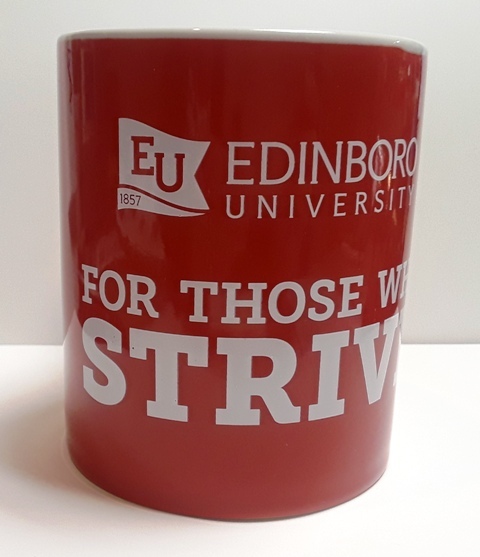 10 oz ceramic mug red with white inside and the new tagline "FOR THOSE WHO STRIVE". Hand washing recommended. Microwave safe.